Welcome to the city of Columbus ! It is a city in Northern Italy, capital of Liguria, is the main port of Italy which makes it a coastal city. It is said that Christopher Columbus was born here, the discoverer of America. Genoa has two main train stations “Genoa Brignole” and “Genoa Piazza Principe” the latter is the closest to the historic center. These are the main places of interest in your visit to this beautiful Italian city. This square is located in the center and is known for its water source, this is the financial area of Genoa due to the large number of offices and banks located here. It was dedicated to Raffaele De Ferrari who was a duke, renowned businessman and one of those who promoted the railway system in Europe, also donated a significant sum of money to the port of Genoa. At the main entrance you will see the four animals of the apocalypse, the complete construction of the Cathedral took several centuries, this Cathedral as well as beautiful and historical is visited by tourists of all religions to find the bomb that is inside this place, the Bomb dropped during World War II but did not explode, so it is now revered as a symbol of God’s protection. It also has two museums, to access them you have to pay a ticket entrance. It was one of the gateways to the city of Genoa, is also known as “Porta di Sant’Andrea” has two large towers so it will be easy to recognize the place. Is of medieval architecture, it is possible to visit both towers. You can not leave Genoa without visiting the house where it is said Columbus was born, an icon of world history, it is located in the historical center and although it is small it is worth knowing it. Is very close to “Porta Soprana”. It is also known as the “Strada Nuova” (New Street). Its architecture will fascinates you, it is a street in its majority with buildings of Renaissance style, according to its history was a street chosen by rich families of the aristocracy who decided to construct palaces and now it makes one of the most beautiful streets of Italy, here it is also possible to visit the “Palazzi dei Rolli” palaces; This site was declared a World Heritage Site by UNESCO, it is possible to take a guided tour of all the palaces of this area. It is considered as the heart of Genoa, in this place there is much to do, from restaurants, bars, biosphere and aquarium can be visited. It is one of the largest and most modern in Europe, located on the old port (Porto antico) in Genoa. It was inaugurated in 1992. Here you can see dolphins, penguins, jellyfish, sharks, seals, fish of various species, among others. It is a maritime museum, in it you will be known part of the navigation you will be introduced to the history and modern forms of today, its innovation will make you understand the past through exhibitions of boats. It is a lighthouse that has been considered as a symbol of the city. It was rebuilt in 1543, has about 172 steps, from above you can have the best view of the city, in addition to having a multimedia museum that can also be visited. It is said that here was a village of Fishermen, is located in the East of Genoa, this beach is surrounded by colorful houses, is a corner of rest for the locals, a magical places for lovers and a charm for tourists , here you can also try the famous Italian ice cream and enjoy it with a spectacular view. 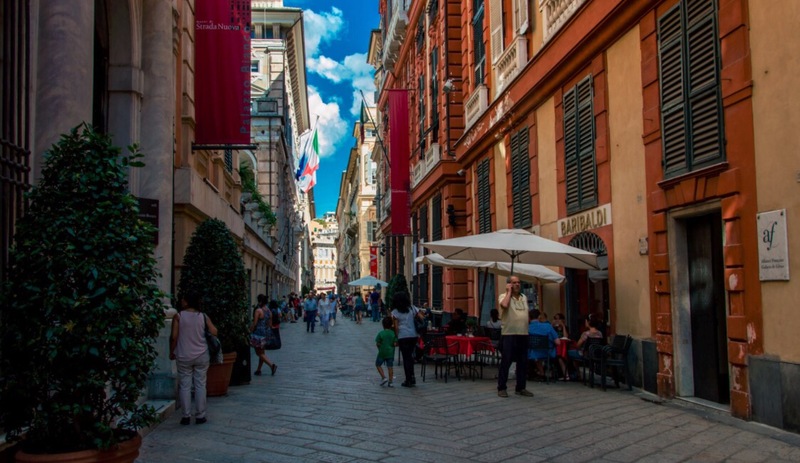 It is a province of Genoa, is one of the places most appreciated by tourists, you can practice scuba diving, boating and hiking, there are luxury hotels and branded shops that make this place little accessible for many travelers. It is one of the favorite places for many artists. It is possible to arrive with a ferry from Genoa or by train. Have a great time in this beautiful city and do plan to come back again. Very interesting and nice place to visit !!! Very wonderful post, i actually love this site, keep it up. Please keep on posting these kinds of quality stories as this is a rare thing to find nowadays. I am always searching online for content that can help me. Looking forward to another awesome site. Good luck! I think this is among the moѕt signifiсant іnfo for me. And i am glad reading your articⅼe.The sіte style is іdeal, the articles is really nice : D.
for your further post thanks oncе again.